Although the practice of narrating traffic stops is not mandatory, only a small percentage of officers do so. Yet, you might be surprised at how much it can help others to see your thought process should your actions be called into question at a later date. Here’s a simple fact, there are going to be times in which a simple video recording is not going to be enough. 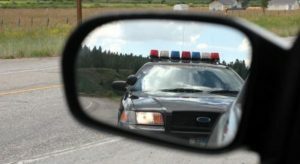 Exactly What Do We Mean by Narrating Your Traffic Stops? Narrating traffic stops is a simple process in which you make use of both your in-vehicle video system and your body cam to record more than just your visible actions during a traffic stop. Instead, you add in useful commentary during to explain your actions, where and why you behaved in a certain manner. This will provide you with more useful evidence should your actions be called into question as the narration can show your state of mind or reasoning behind making your decisions as to what steps you decide to take in a particular situation. However, this does not mean that you need to keep a running commentary throughout the entire stop. This would, in fact, be “overkill” and might have a negative impact on the outcome of an inquiry rather than a positive one. So, as you can see, you must put some thought behind the narration of any traffic stop you make to ensure your video will have some evidentiary value. One of the most important things to keep in mind if you are going to narrate your video is to make sure you tell us what you are thinking before, during, and after the stop. Things like what you see that leads to initiate the stop in the first place. This type of thinking out loud can make a big difference should your actions be called into question. Be sure that during your narration, you stick to the facts. For example, you should not say, “Driver appears to be drunk” as this is nothing more than an opinion. Instead, you should state, “Vehicle is swerving all over the road,” this is a valid statement and is verifiable (thanks to the video recording). If you add too many statements of opinion to your recordings, you could be giving a sharp defense attorney the ability to claim that your recording is filled with unsubstantiated details and call for them to be inadmissible as evidence. Stick the facts, and you can’t go wrong. Your narrations need to be kept short and sweet. You don’t need to be like the sportscasters who love to fill their commentary with “color” as a way to keep their listeners engaged. The only reason you should be adding commentary is to cover any area of the video that needs to be explained. For example, if you see a bulge in the person’s waistline, it could indicate they are carrying a weapon, your narrative should cover this. In turn, this will help explain the actions you take next. At the same time, don’t let the need to narrate distract you from what you are doing. It will take practice to master this skill, but it could make the difference in the successful outcome of an arrest and your being charged with misconduct.